Is it any wonder that April Fools’ Day falls during the same month that millions of Americans must sift through the 70,000-plus-page tax code in hopes of getting their tax return right? The IRS probably has a bulletin board somewhere showcasing foolish common tax mistakes they see every April. 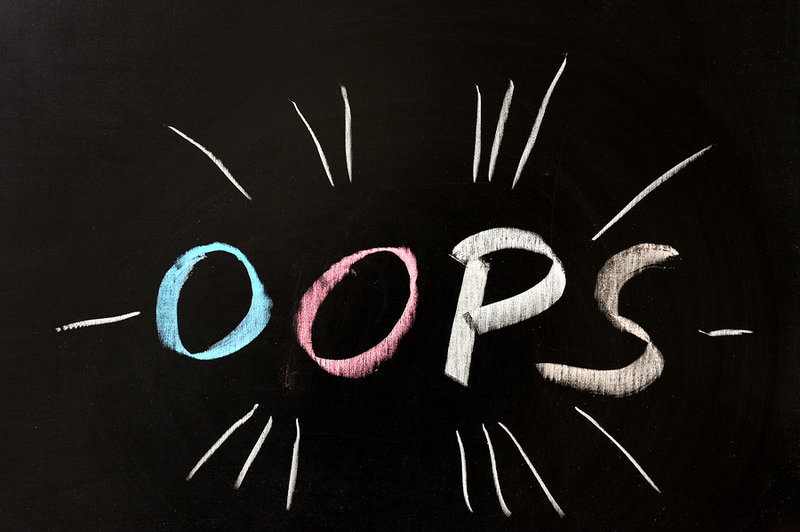 In honor of the looming tax deadline — and to perhaps save you from a few embarrassing blunders — here are five common tax mistakes that will land an IRS letter in your mailbox (not to mention, delay any refund you are expecting). Whether it’s because you don’t have the money or you simply forgot, failing to file a tax return is a huge tax mistake. If you need an extension, file an extension request by April 15 to buy yourself six months. If you don’t think you can afford to pay what you owe, file by the deadline anyway and seek a monthly payment plan. Remember, even if you don’t owe taxes, there’s always the possibility of getting a refund, thanks to refundable tax credits. Almost nothing will get red-flagged by the IRS as fast as two taxpayers who try to claim the same person on different tax returns. And there is real monetary incentive to do this, because each dependent claimed on your 2014 tax return slashes $3,950 off your taxable income (cha-ching!). To avoid this, clarify with your ex-spouse who gets to claim the children. This is typically specified within a divorce agreement. Know that children of divorced parents are usually dependents of the custodial parent (despite the payment of child support) because they live with them for more than six months out of the year. If you have a boomerang child who moved back in, make sure you are both clear on the IRS rules of whether or not they can be claimed as a dependent. The IRS hosts its own list of common tax mistakes, and entering the wrong Social Security number (or failing to enter one at all) was number one. To avoid this, take an extra minute to glance over your basic information (like your SSN and bank account information) before submitting. Every taxpayer gets a standard deduction — a dollar amount the IRS allows you to deduct off of your taxable income. In 2014, the amount is $6,200 for single/married filing separately and $12,400 for married filing jointly. Some people, however, who are eligible to deduct more than this standard amount by itemizing things such as mortgage interest and charitable donations, miss out by not filing the correct form. If you think you qualify for itemizing your deductions, then be sure to fill out the regular Form 1040 instead of the Form 1040EZ. Can you cash a check that isn’t signed? Of course not. And the IRS doesn’t accept unsigned returns, either. If you’re married and filing jointly, then both spouses must sign the document to make it official. When you’re looking over your basic information, go to the end of the document and make sure it has two signatures before you hit submit. Fortunately for all of us, the IRS recognizes that tax mistakes are common. So they’ve given us a do-over: You can file an amended return up to three years after the original filing deadline after realizing that you made a mistake when filing.